2429 Dove Pl #3, Birmingham, AL.| MLS# 842005 | Richard Jacks UABLIVING.com 205-910-2297 | Birmingham AL Real Estate | Contact us to request more information about our Homes for Sale in the Birmingham AL area. 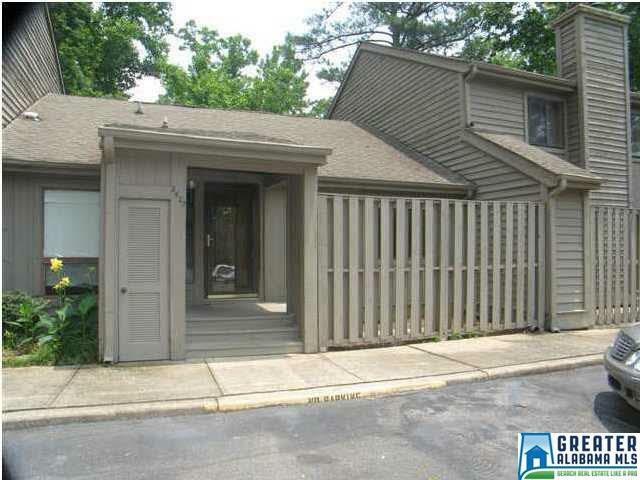 BEAUTIFULLY UPDATED CONDO located close to i459 and i65 in Windhover Condominiums. This one level condo won&apos;t last long! Enter the home to a little foyer with a new lantern style light, and notice the new wood looking luxury tile. Take a step down to the Kitchen on the left, with elegant, light colored GRANITE, all new STAINLESS APPLIANCES, freshly painted WHITE cabinets, and new lighting. Laundry closet off of kitchen. Dining Room is open to the family room and has a gorgeous new light. Family room has a gas fireplace, new ceiling fan and door to the back deck overlooking woods. Master bedroom has a fan and NEW CARPET. Master bath has a separate vanity area, new GRANITE countertop, new tiled tub/shower combo, floor and new faucets. Bedroom 2 has NEW carpet, and a fan. Full bath 2 has all new tiled tub/shower combo, floors, vanity, faucets and mirror. This condo has a little outdoor seating area with a place for flowers or a garden. Community swimming pool and tennis. Driving Directions: I459 To Acton Rd.